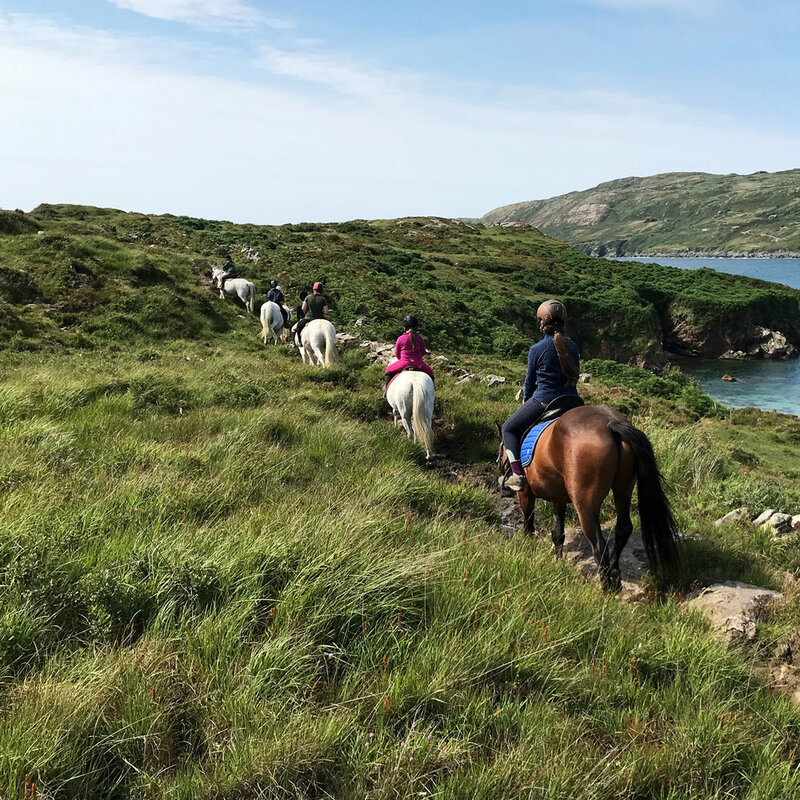 Spectacular wildlife & dramatic views of Connemara coastline & mountains including a famine village. Irelands first bitless herd at the forefront of redefining how we work with equines. 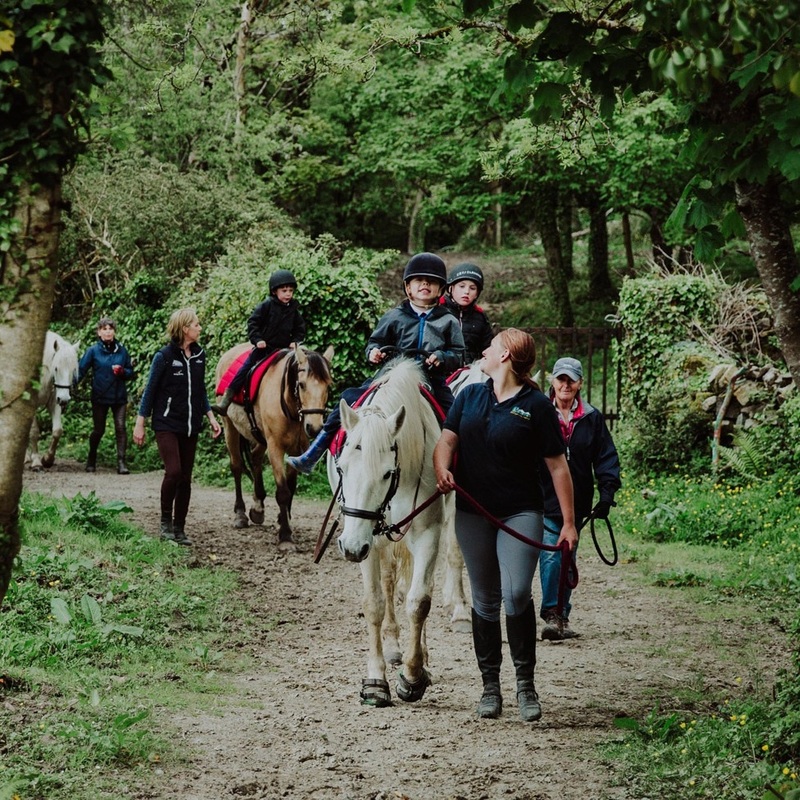 Errislannan Manor Riding Centre is a Failte Ireland and AIRE approved equestrian centre renowned for it’s beautiful scenery. Located on the Errislannan peninsula on the west coast of Ireland, along the Wild Atlantic Way, just 6.5km south of Clifden, in County Galway. Sheltered by a surrounding wood, the manor overlooks a trout lake and is bounded by Connemara’s moors and mountains. 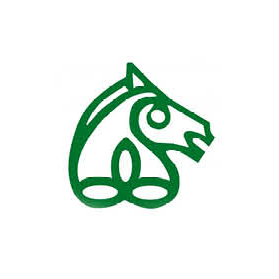 Established in 1970, for close to fifty years we have taught many children and adults to ride and to love ponies. Suiting all levels and abilities, we offer lessons in our outdoor arena, guided treks, or lead reins. Our treks bring you over heather covered moors, past famine villages, along the shores, home of hares, many other wild life and all kinds of seabirds. You can enjoy stunning views out to the Atlantic ocean and islands or inland to the Twelve Bens mountain range. The Connemara breed is native to this special area and are particularly sure footed. Our ponies are homebred, sound and safe and come in all sizes. After beginning to introduce use of the bit-less bridle fifteen years ago, we are now proud to be Ireland’s first fully bit-less herd, at the forefront of redefining how we work with equines. 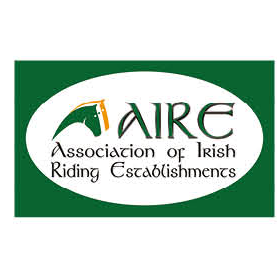 We are home of the Connemara branch of the Irish Pony Club, and also for the past three years Connemara Therapeutic Riding. Errislannan Manor Gardens are a member of the Royal Horticultural Society of Ireland Gardens for Charity scheme.